I’m also not talking about hermits along the lines of those we’ve read about in the Adirondacks. Noah John Rondeau, for example, experienced a solitude on the banks of Cold River that none of us will ever know, but he welcomed visitors and enjoyed entertaining them with a vast store of yarns and tales. Louie Seymour, who built a series of small cabins—and lived in them alone—in the south-central Adirondacks, traded furs and worked as a logger. Archie “Bobcat” Ranney lived alone in a tiny cabin near Bakers Mills, but he, too, interacted with neighbors, who cared for him when he was sick, and periodically trekked to North Creek for supplies. And then there’s Alan Como who eluded camp owners and sheriff ’s deputies for a year and a half while he lived on what he could steal from camps near Brant Lake. No, the story of Chris Knight and his solitary life in central Maine is of an entirely different order. In 1986, Knight was twenty years old. Having grown up in a reclusive but unremarkable family in Albion, Maine, he had just quit a boring job as an installer of homealarm systems (he had become an expert on home security and how to breach it). 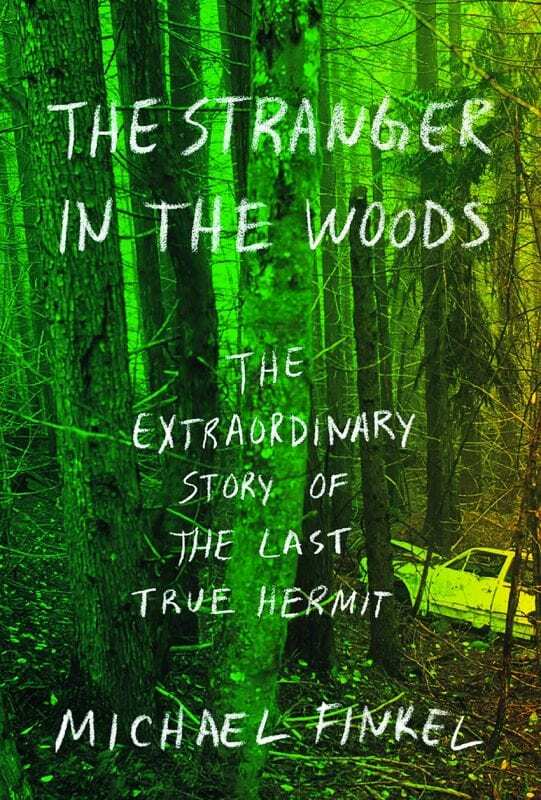 One afternoon, after several days of desultory driving around, he parked his car on the side of a dirt road, left the keys on the dashboard, and walked into the woods. He was unequipped for even one night out, but without any plan, he started hiking. Eventually, with winter approaching, he overcame deeply held scruples and began stealing food, sleeping bags, and other gear from unoccupied camps. During the early phase of what would turn out to be a truly astonishing story, Knight spent one night in a cabin, but he was so nervous about being caught that he resolved never to do so again. For the remainder of his sojourn in the woods, not once did he sleep with a roof over his head. After a few months of moving from place to place and with winter approaching, he found himself near a couple of smallish, linked ponds, surrounded by seasonal cabins. He scouted about for a spot that would be both reasonably convenient to the cabins and hard to find. Nothing sufficed until he wandered into a large, privately owned woodlot—a jumbled mix of old growth, fallen trees, impenetrable undergrowth, and giant boulders, two of which concealed a hidden passage into a tiny clearing. This is where Knight set up camp. It was close enough to the ponds that he could sometimes hear canoeists talking to each other. And it was so hard to find, so hidden by brush, boulders, and topographic irregularities that for a quarter of a century, even after the nearby camp owners began to complain about break-ins and missing stuff, no one ever found it. Over the next twenty-seven years, he spoke to a hiker only once, saying “Hi” before moving on. On one other occasion, he exchanged glances with a group of three men, but they didn’t speak. I’ve done a lot of bushwhacking, and I’m pretty sure our Adirondacks and central Maine are more similar than different. The only thing that bugs me about this book, a point that is essential to its entire narrative, is that Knight’s campsite was never discovered until the night he was caught stealing food and then led police to it. The photos that I found online suggest a woods not much different from what we have here (do a Google image search for “Knight,” “hermit,” and “Maine”). So how did he remain undiscovered for almost three decades? I can’t answer that, but the people who owned the nearby camps, the various arms of law enforcement that tried to catch him, and Michael Finkel, the author of this fine book, all insist that that’s what happened. So you and I will have to suspend our skepticism and absorb the whole fascinating story. At the campsite, Knight eked out a precarious existence. Every piece of equipment, every bite of food, every scrap of clothing was stolen. He pitched a small tent and spread a tarp over it. He cooked with stolen propane. He read magazines and books. He listened to a series of radios, played with hand-held digital games, and for a while even watched a television with a five inch screen all powered with stolen batteries. He also appropriated every form of alcohol he came upon. And this he did, utterly alone, for twenty-seven years! and brought them to this hidden campsite. So afraid was Knight of revealing his location, he never once built a fire. 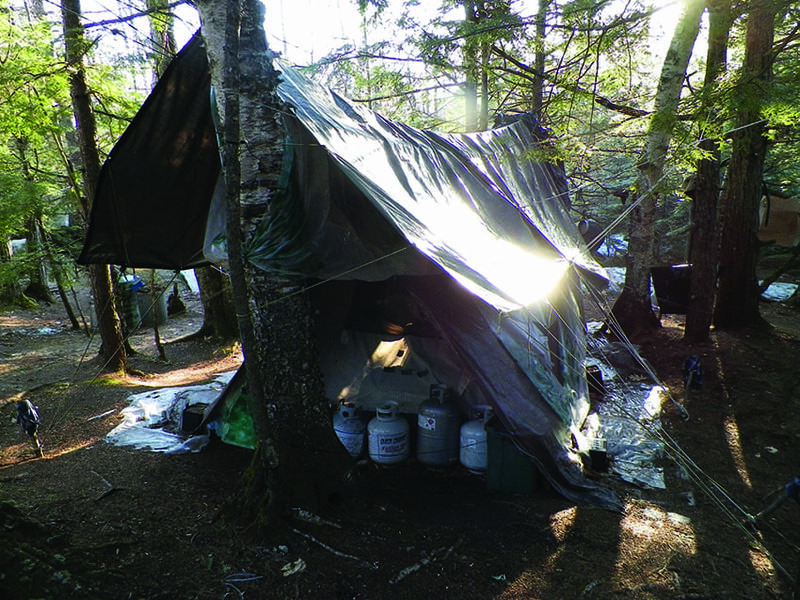 In the dead of brutal Maine winters, at the coldest hours of subzero nights, he would crawl out of his several sleeping bags and, worried that if he stayed asleep he might freeze, pace the campsite periphery. Before the onset of winter, he would bulk up his weight and hoard all the food he could find—all to avoid leaving the campsite and leaving tracks. Some of the neighboring camp owners were furious at his depredations, while others found the evidence of an incredibly clever and elusive thief to be an intriguing feature of life on the edge of the wilderness. Camp owners changed their locks, installed game cameras, spent wakeful nights clutching a shotgun. But Knight was smart and methodical, and for all those years—until the night he was arrested—no one came close to catching him. Once caught and arrested, he sat in a Maine jail, made anxious by other prisoners, occasionally willing to talk, though never with the introspective thoroughness that Finkel wanted. When he was brought up on multiple charges of theft, the Maine authorities decided that he was not a threat to others and that his fragile mental state might collapse in prison. He was sent to live with his eighty-year-old mother (who had never heard a word from him while he lived as a hermit and thought he was dead). He was told to find a job, attend weekly therapy sessions for alcohol abuse, and perform community service. At their last meeting, when Knight was well into this routine, he told Finkel that he couldn’t take it and that, in a few months when winter began, he would choose a cold day, walk into the woods, sit down, and wait to die. Finkel, who by this time genuinely cared about Knight, considered his legal options and moral obligations and concluded there was nothing he could do, other than express his hope that Knight would not follow through. Knight told him to go away and leave him alone. As it turned out, Knight did not commit suicide. He finished his regime of therapy and service, while Finkel honored his request to stay away and wondered from a distance whether Knight found some way to survive and stay reasonably stable in a world he didn’t care for and from which he wished to escape.